Kauai County Farm Bureau history...In June 1968, Katsuto Arashiro, a pineapple and tomato farmer in Wailua Homesteads; Lincoln Takenaka of Wailua Homesteads and Manuel Medeiros of Kalaheo both raised chickens for eggs and meat; George Hiyane of Kapaa grew pineapples; Antone Silva of Kalaheo grew Poinsettias; and Joseph Esaki, who was one of the first of Kauai farmers to go to the University of Hawaii at Manoa to earn an Agricultural degree, was known for growing watermelon and truck crops in Kapahi and seeing the need for a farmers’ organization chartered the Kauai County Farm Bureau. 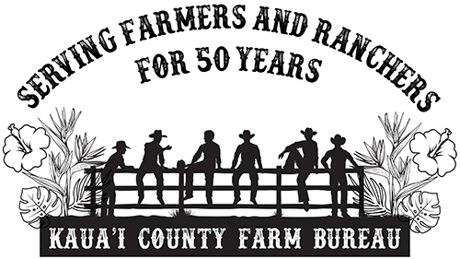 Today’s Farm Bureau is the descendant of the organization created by these men and their farm families. These pioneers realized collectively purchasing inputs in bulk at lower prices and selling their agricultural products at higher prices jointly provided benefits to their individual businesses, and that their collective efforts would yield greater influence on public policy for diversified agriculture. 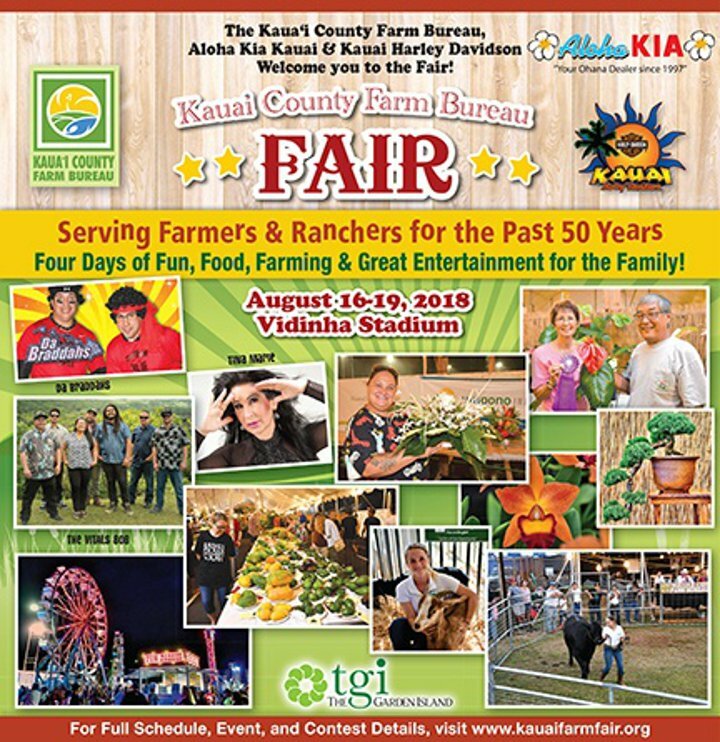 Our agricultural roots run deep into the history of Kauai County and it is Farm Bureau’s hope that agriculture remains a strong economic sector in the years to come.